"It's a sacred site that should be preserved," said a descendant of the original 200-member congregation. 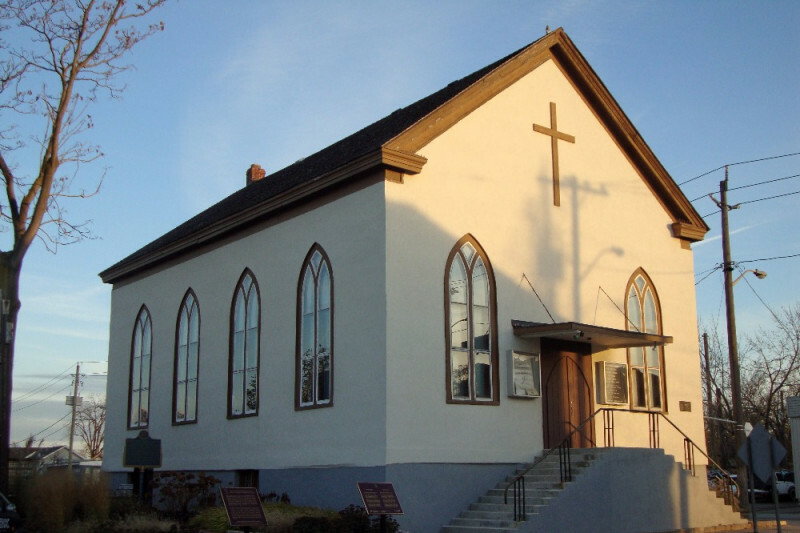 The Canadian church where Harriet Tubman helped free countless slaves on the Underground Railroad is a “sacred site that should be preserved” in Ontario, said one descendant of the Salem Chapel BME Church’s original 200-member congregation. The church was a “place to worship, a meeting house for those seeking refuge from slavery and a hub for abolitionist activity,” Bush explained. The structure has been eroded by weather as well as other natural occurrences during the last 150-plus years. Descendants, including Bush, have been spearheading national historic site restoration efforts in part by setting up the crowdfunding page to essentially keep its history alive. The church’s “Preserving Salem Chapel fundraising campaign” has a goal to raise a minimum of $100,000 to complete emergency work to begin late in the winter of 2018, Bush said. The restoration plans included cable wire or earthquake straps for the church attic and underneath the sanctuary floor to secure the building. After those repairs, construction work for a new municipal building behind the church will begin. They also need to replace a deteriorating front door awning and a few weather-damaged window sills. If the church exceeds its fundraising goal, the surplus will be put towards “painting the outside of the church, the repair of the exterior and interior steps, the roof gable, lower level windows and the gallery and sanctuary floors,” read its GoFundMe page. There is very little government funding available given that the church, with less than 12 members, is privately owned, according to its GoFundMe page. Support of a few local donors and seasonal tour groups helps the church to keep its doors open. Members want to keep the church around for future generations with its storied history. “Today it stands to serve God and to remember the courage and bravery of the mighty freedom fighters such as Tubman, Frederick Douglass and John Brown who graced its sanctuary and holy grounds,” Bush said.